We heard today that the Stampin’ Up! Trimmer paper Cutter is being retired from 3rd June 2019 and will not be carried over into the new annual catalogue. We have had supply issues for the blades for some time and we had a spate of faulty blades and although we have been working with the manufacturer to resolve this issue we are still unable to order enough to sustain our stock requirements or resolve the issues we had. Stampin’ Up! has therefore taken the decision to retire the trimmer and its accessories including the scoring and cutting blades whilst they research a brand new replacement trimmer. We do not have a date for the launch of a new paper cutter/trimmer as yet but will keep you up to date as we hear more. The items shared above are still available until 3rd June 2019. While the replacement cutting blades will also retire with the trimmer and will not be featured in the annual catalogue, we have ordered what would normally be six months of inventory to help during this transition. But please know that this news could cause faster inventory depletion. The trimmer blades are currently out of stock and I encourage you to enter your email when requested to be kept informed of when they arrive back into stock. When the retiring list goes live on 15 April, the order limit for the blades will be six packs(and the limit will remain at six until they’re no longer available). And from now until September, we will receive intermittent shipments from the supplier. Throughout these months, we anticipate times when the blades will not be orderable (and not offered as a backorder). 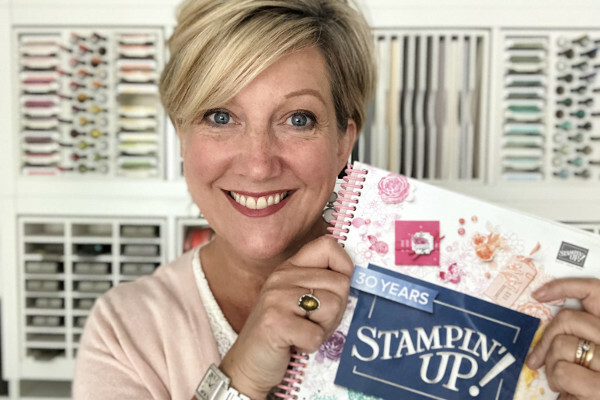 I know that so many of you love our Stampin’ Trimmer, me included but we have to be able to supply products or the highest quality and ensure they can reach the demand. I am hopeful for what is coming and will keep you posted of updates as I receive them. All the items shared above are available from my online shop, click the links to go direct to that item in my shop and even if it shows as not orderable, please add your email to be kept up to date.